Enter your name and e-mail to be one the first to know when Donna's new book becomes available. As a motivational speaker, advocate and community leader, Donna Cornell has dedicated her life to helping women create the life of their dreams. A successful entrepreneur, she developed an educational series titled, "The Power of the Woman Within," captivating audiences nationwide with her high-energy and inspiring message of happiness and success. Her message now culminates in her latest book, "Conquering the Life Balance Hoax -- One Woman's Journey from Despair to Millionaire." In this book written especially for women, Donna shatters the myth that women can ever truly lead a "balanced" life. Instead, using her own experiences as examples, she offers advice on how she created a life filled with happiness and success. 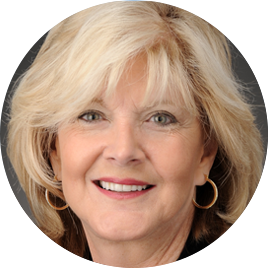 Donna has been featured in International Executive Search Magazine; was accepted into the International Women’s Leadership Association; recognized with United States Congressional and State of New York Senatorial Citations; selected as Business Leader of the Year by Family Health Center; participated in President Reagan’s Grace Commission investigation; featured on CNN and Lifetime television, and featured in the San Francisco Times, New York Times and on Vault.com as a guest columnist. Through her various coaching experiences, Donna has helped hundreds of women succeed in their personal and professional lives.